Today’s readings invite us to become great in the sight of God by doing God’s will, as Jesus did, surrendering our lives in the service of others. In the Gospel, Jesus gives us a glimpse of what walking that path is, namely, welcoming and serving the vulnerable in our midst: the defenceless children, the despairing poor, the mentally ill and the marginalized. 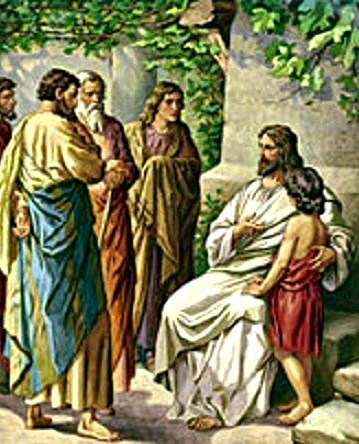 Jesus also teaches his apostles that child-like humility and selfless service make one great in the eyes of God. We must become great through humble, self-giving service. Greatness, in Jesus’ view, is found in our willingness to accept and welcome and serve those who are considered unacceptable by reason of class, color, religion, wealth or culture. We must welcome people the way a child welcomes them before he is taught discrimination. If we are to be truly great, we must be ready to accept four challenges: (1) to put ourselves last, (2) to be the servant of all, (3) to receive the most insignificant human beings with love, and (4) to expect nothing in return.